In the case of In re Jones, Judge Elizabeth Magner of the Bankruptcy Court for the Eastern District of Louisiana dealt with the issues of both the rights of consumer debtors and their creditors when it comes to application of Chapter 13 plan payments, as well as when and by what method a creditor can seek postpetition costs and expenses, and what relief should be available to a debtor when the creditor violates the stay provided by bankruptcy. In this and the following articles I will summarize this case and I hope will be its impact on consumer lending. The facts ofthis are not unique and are seen by consumer bankruptcy attorneys frequently, and as the Court noted, the actions of the creditor are not unique to this creditor. Mr. Jones filed a Chapter 13 bankruptcy in August of 2003. At the time of his filing,he had a home mortgage with Wells Fargo. The Chapter 13 was filedin order to stay a foreclosure action that in state court so that he could keep his house. Wells Fargo filed a proof of claim with the bankruptcy court, and for purposes of this discussion, the plan ran smoothly for about two years. (Mr. Jones did have a heart attack early into the plan and a Consent Judgment was entered to deal with several months of payments that were unpaid during the period of his recovery). About two years into the plan, Jones filed a motion with the bankruptcy court seeking authority to refinance the debt with another lender. No opposition was filed to the motion so the court approved the refinancing in December of 2005. On December 15, 2005, Jones requested a payoff of the amounts due since a closing on the refinancing was scheduled for January 4, 2006. On January 3, 2006, Wells Fargo faxed a payoff statement to the closing firm, indicating a payoff balance of $231,463.97. No explanation or substantiation for the amounts owed accompanied the payoff statement. Counsel for Joneswas unable to obtain an accounting from Wells Fargo explaining its calculations or any other substantiation for the payoff. Because the new loan could not be closed without a release of the mortgage, and the mortgage would not be released by the creditor unless it received its payoff demand, Jones had no choice but to pay the sums demanded or lose his financing. Because of the amount of the costs paid, Jones did not have sufficient money to payoff his plan. On January 12, 2006, Wells Fargo acknowledging that it had collected more money than was necessary to satisfy the loan, but gave no explanation as to how much was due or why the amounts collected were in excess of the amounts owed. It advised that in “approximately 15 days” a check would be issued. When the check was not forthcoming Mr. Jones, through his attorney, filed a lawsuit known as an adversary proceeding on March 30, 2006. Several weeks after suit was filed Wells Fargo forwarded $7,598.64 to Jones as the amount allegedly overpaid. Only after the filing of the adversary proceeding did Wells Fargo disclose how it arrived at the amount allegedly owed by Jones. These amounts included post petition inspection fees, attorney’s fees, and statutory expenses as well as prepetition Sheriff’s commissions of $6,741.67 when only $1,283.87 in commissions was originally claimed by Wells Fargo in its Proof of Claim. 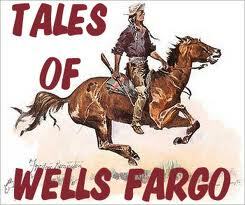 Jones also objected to the attempt by Wells Fargo to collect postpetition charges which Wells Fargo conceded it did not seek by amendment of its Proof of Claim. Wells Fargo further conceded that it did not ever advise Jones that it claimed that postpetition charges were due. In its defense, Wells Fargo maintained that the charges assessed postpetition were authorized under the terms of the mortgage with Wells Fargo. In Part Twowe will look the Courts analysis.